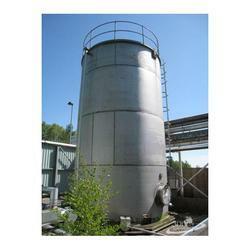 Supplier & Distributor of Vertical Stainless Steel Tank and Horizontal Stainless Steel Tank . Our product range also comprises of Coal Handling Plant, Food handling Conveyors and Roller Conveyor. We are looking inquiries majorly from specific regions like South Africa, Middle east, Far East Asia. and . Our product range also comprises of Coal Handling Plant, Food handling Conveyors and Roller Conveyor. Vertical Stainless Steel Tank offered comprises storage tanks that are ideal for storage of variety of liquids including water, beverages, chemicals as well as other liquids. Further, these are designed as per international quality standards and can be used for storing either primary or end products.